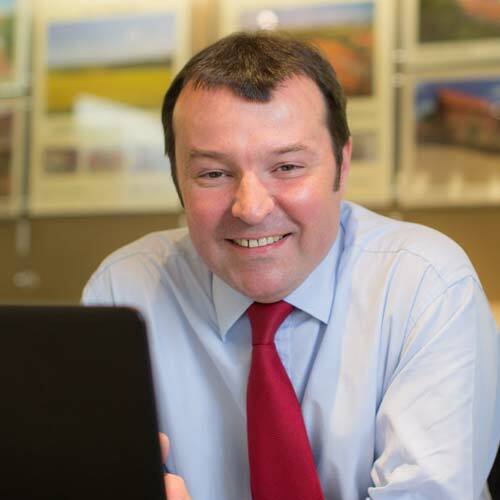 …but that doesn’t stop Ben Marchbank of Bedfords’ Burnham Market office looking into his crystal ball and offering insight into what 2018 may hold in store for the property market. The decorations are down, resolutions remain unbroken (so far…) and a New Year bringing new opportunities awaits us all; may I wish you all a happy and prosperous 2018! One of the perils of January lies in the expectation that we should provide an expert prediction for the forthcoming year; personally, I agree with Churchill who said, “I always avoid prophesying beforehand because it is much better to prophesy after the event has already taken place”. Nevertheless, I shall hazard a guess at what 2018 holds in store for the property market here in Norfolk and Suffolk. However, I shall play safe and base my forecasts upon what has happened in the last 12 months (although past performance is not an indicator of future outcomes as keen investors amongst you will no doubt have read before). The strength of the property market has always been at the whim of events, both national and regional, because these events affect the confidence and mood of the public. Of course 2017 had its share of ups and downs; on a national level, we experienced a snap General Election, more uncertainty as Brexit talks have continued and a rise in the Bank of England base rate to 0.5%, the first rise since May 2007 (when you may remember the rate rose from 5.5% to 5.75% – ouch!). And throughout the year we have had to put up with the pain of higher rates of Stamp Duty on investment and second homes. Meanwhile, though, East Anglia has seen continued investment in our road and rail networks, population growth, a surge in house-building and fine weather across the region for most of the year, all of which have contributed to the sustained growth we have enjoyed here. So, here goes with the prediction; over the next 12 months we will see more of the same (although it is to be hoped that we don’t have to endure another General Election!) However, I would not rule out another rate rise, I suspect that we all expect the Brexit negotiations to continue in a protracted and tortuous manner and I am not guaranteeing a sun-filled summer! Consequently, there will continue to be a restricted supply of property coming to the market; any quality houses in strong locations which do become available will still sell quickly as long as they are priced sensibly. If you are selling, good advice from experienced agents will pay dividends. If you are buying, it is always tempting to hope that the next house to hit your inbox will be perfect in every way, but rarely does this prove to be the case; so, if it is an 8 or 9 out of 10, make an offer.